The objective of this research was to conduct a field trial to evaluate the marking performance of different combinations of pavement marking materials and installation practices on challenging surfaces. 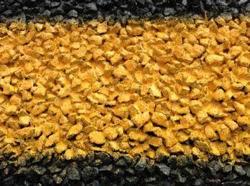 The trial included a range of pavement marking products over varied roadway characteristics to assess the performance of different marking materials over different challenging surfaces by product, thickness, bead package, and whether or not a primer was applied. 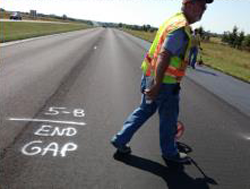 The research team worked with the technical advisory panel (TAP) to document pavement marking performance on several municipal roadways within the City of Eden Prairie and to organize and prepare for field testing of different marking materials on both a seal coat and micro surface roadway. 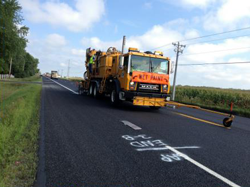 These projects provide pavement marking performance on challenging surfaces information over different conditions (traffic levels and line types) apart from the MnDOT research test deck scenarios. 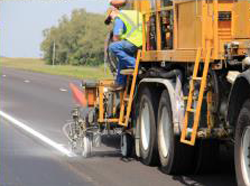 These results provide MnDOT with a basis to consider pavement marking striping practices on challenging surfaces in terms of performance and cost. The high-build materials (primer plus VISILOK) and epoxies showed similar performance, which provides a good basis for material selection.